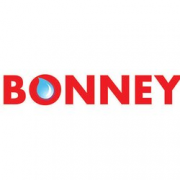 Bonney is the Greater Sacramento Area’s best full-service plumbing, heating, air conditioning and sewer & drain company. We do it all, from trenchless sewer replacement & tankless water heaters to HVAC & drain cleaning. The Bonney team has an A+ Rating from the BBB and works hard to provide professional, reliable and affordable services for our residential and commercial customers.